A 24½-acre park that features an ice-skating rink, outdoor theaters, and attractive tree-lined promenades. Thousands of people gather here each day to take in the park's beauty over lunch or to enjoy its many fascinating sights, among them the dynamic "Crown Fountain," two towering glass structures that feature changing videos and lights dramatically bathed by cascading water. 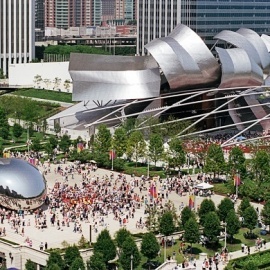 The stunning Harris Theater for Music and Dance, a state-of-the-art facility that hosts performances by groups like the Jazz Institute of Chicago and Chicago Opera Theater, is also located in Millennium Park. Pros: The park with the famous bean shaped mirror the size of a mansion! 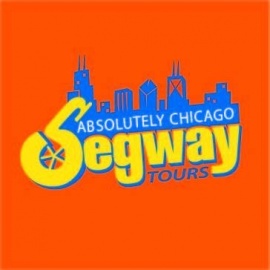 A beautiful place to relax and appreciate the arts of Chicago. Cons: A lot of tourists.